His next book, Who Owns the Future?, provided a foundational critique of internet economics and one of the only frameworks for reform. Another international bestseller, it continues to shape ideas for tech regulation and economics. 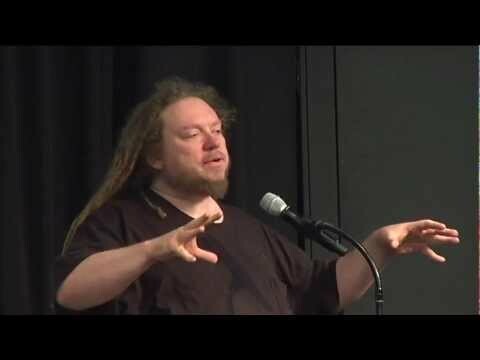 In 2015 Jaron Lanier published a a collection of essays entitled Wenn Träume Erwachsen Werden (When Dreams Grow Up). Then came, Dawn of the New Everything, Lanier’s memoire of his unusual childhood, early Silicon Valley, and the origins of Virtual Reality. In addition to a tender memoire, it also serves as a science book for general readers and a historical dissection of the origins of tech culture. 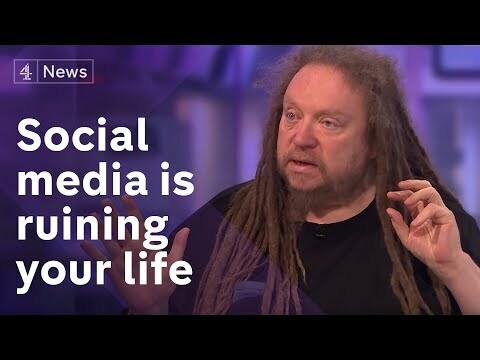 The fourth book, Ten Arguments for Deleting Your Social Media Accounts Right Now, is another international bestseller, synthesizing what we know about the new technology of tricking people with algorithms. Lanier’s books have won varied awards, including the 2014 Peace Prize of the German Book Trade, one of the highest literary honors in the world, Harvard’s Goldsmith Book Prize, and best book of the year at book festivals such as the San Francisco Book Festival. 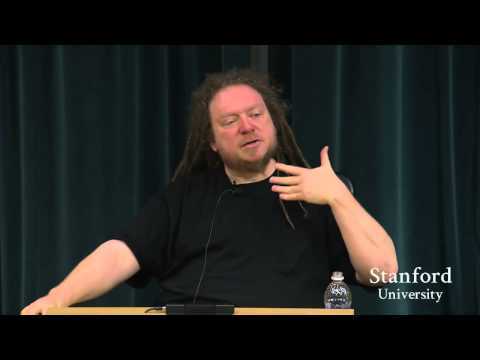 Jaron Lanier has been on the cusp of technological innovation from its infancy to the present. 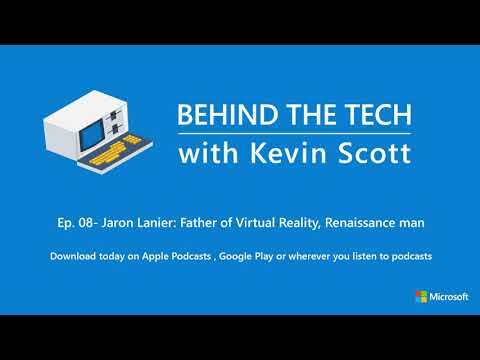 A pioneer in virtual reality (a term he coined), Lanier founded VPL Research, the first company to sell VR products, and led teams originating VR applications for medicine, design, and numerous other fields. He is currently the “octopus” (which stands for Office of the Chief Technology Officer Prime Unifying Scientist) at Microsoft. He was a founder or principal of startups that were acquired by Google, Adobe, Oracle, and Pfizer. In 2018, Lanier was named one of the 25 most influential people in the previous 25 years of tech history by Wired Magazine. 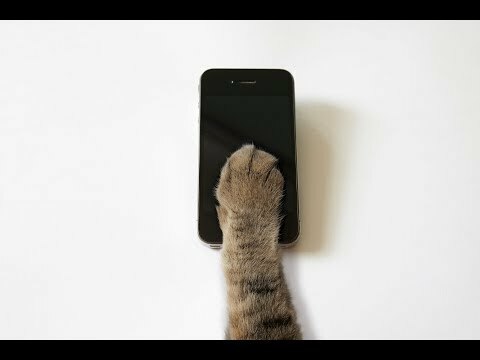 He’s also been named one of the 100 most influential people in the world by Time Magazine, top one hundred public intellectuals in the world by Foreign Policy magazine, top 50 World Thinkers by Prospect magazine, and one of history’s 300 or so greatest inventors in the Encyclopedia Britannica. 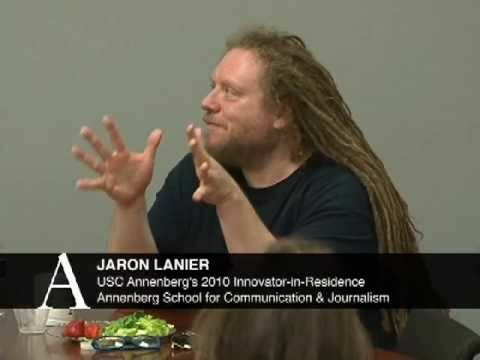 In 2009 Jaron Lanier received a Lifetime Career Award from the IEEE, the preeminent international engineering society. Lanier’s writing appears in The New York Times, Discover, The Wall Street Journal, Forbes, Harpers Magazine, Atlantic, Wired Magazine (where he was a founding contributing editor), and Scientific American. He has appeared on TV shows such as The View, PBS NewsHour, The Colbert Report, Nightline and Charlie Rose, and has been profiled on the front pages of The Wall Street Journal and The New York Times multiple times. He regularly serves as a creative consultant for movies, including Minority Report and The Circle. 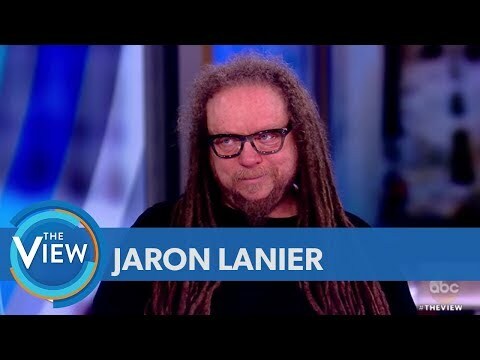 Jaron Lanier is also a musician and artist. He has been active in the world of new “classical” music since the late ‘70s and writes chamber and orchestral works. 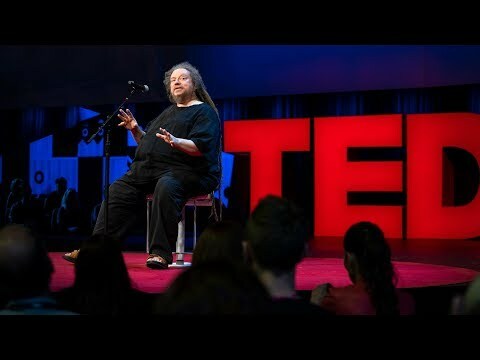 He is a pianist and a specialist in unusual and historical musical instruments; he maintains one of the largest and most varied collections of actively played instruments in the world. Works include a choral symphony about William Shakespeare’s contemporary and friend Amelia Lanier, commissioned for the Bach Festival Society of Winter Park a symphony commissioned by the St Paul Chamber Orchestra, and a symphonic cycle commissioned by the city of Wrocław, Poland. He has performed or recorded with a wide range of musicians, including Philip Glass, Yoko Ono, Ornette Coleman, George Clinton, T Bone Burnett, Steve Reich and Sara Bareilles. He composes and performs on film soundtracks. Credits include composer on Sean Penn’s 2010 documentary, The Third Wave, and principle instrumental performer for Richard Horowitz’s score for Three Seasons (1999), which won both the Audience and Grand Jury awards at Sundance. Lanier’s paintings and drawings have been exhibited in museums and galleries in the United States and Europe.